Click above on the photo or the text to access the different units in Narratology! Click above to access materials pertinent to Coaches, Teachers and/or Mentors for the Narratology Confirmation curriculum for churches. 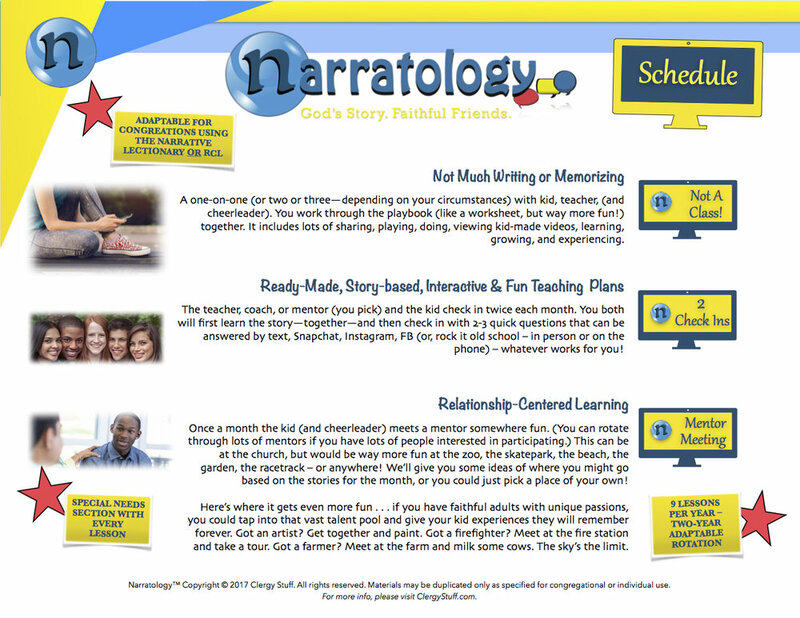 Click here to find out just exactly WHAT Narratology™ is and how your congregation can benefit. What in the world is this thing called Narratology™? How can this unique affirmation of baptism program work at my congregation? LOOK & SEE FOR YOURSELF!